The New York Times Notable Non-fiction of 2018 list consists of books selected by the editors of the NYT Book Review. It contains a mix of biographies, insights into historical American subjects, along with books that deal with contemporary societal issues. Here are ten of the NYT Notable Non-fiction Book Review editors’ selections for 2018. Click on the book titles to read the reviews. “Arthur Ashe: A Life” by Raymond Arsenault. CRIMEFEST had its beginnings in 2008 as a convention for fans of crime novels and has become one of the biggest crime fiction events in Europe. Its reputation is such that top crime novelists, publishers and reviewers now attend from around the world. This year the CRIMEFEST awards dinner was held on May 20, 2017 in Bristol, England. Take a look at all the nominees and click on the book titles to read more about them. Eligible titles were submitted by publishers, then (except for the Audio category) British crime fiction reviewers voted to establish the shortlist and the winning title. The winners are indicated in red. The eDunnit Award is for the best ebook published in both hardcopy and ebook. The Last Laugh Award is for the best humorous crime novel first published in the British Isles in 2016. The Audible Sounds of Crime Award is for the best unabridged crime audiobook first published in the UK in 2016 in both printed and audio formats, and available for download from audible.co.uk. Audible UK listeners picked the shortlist and the winning title. The winning author and audiobook reader(s) share the £1,000 prize equally. CRIMEFEST introduced a new award recognizing crime novels for young adults. Please visit www.crimefest.com for nominees and winners in other categories (Scandinavian crime fiction; short short story; crime novels for children 8-12; biographical or critical). Edith Maxwell writes award-winning short stories, has several series of full-length mysteries out and has been nominated for Agatha Awards in both the Short Story and Historical Fiction categories for this year’s Malice Domestic mystery conference. At this writing, she has eleven published novels since 2012 under the names Tace Baker, Maddie Day, and Edith Maxwell, with #12 due out next month. She is working on three more to be published in the near future. She is the one of the most prolific traditionally published authors I know and she is loving all of it! 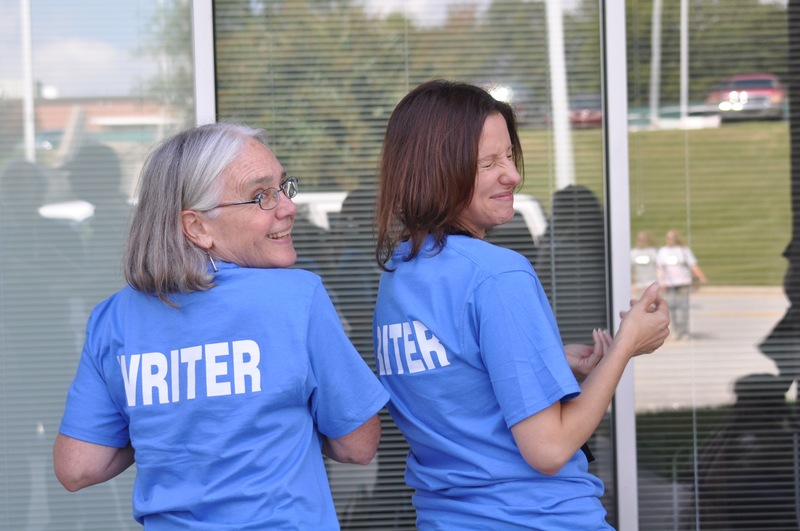 I first met Edith at a Writers Police Academy conference in the Fall of 2012. At the time, she had just published her first Lauren Rousseau title, “Speaking of Murder,” as Tace Baker. I was hooked by the intelligent, worldly, complex female lead character. She attended WPA in order to research police procedure, and also gathered tons of information about firefighters and EMS personnel that she might use in future novels. While following her career the last few years, it’s become apparent that solid research underpins all her books. Happily, combined with her own personal experiences, the result is richly developed backgrounds and storylines. For the Country Store series, Maxwell took a trip to Indiana in order to investigate the setting, special southern Indiana phrasing (“I can’t eat another bite ’cause I’m as full as a tick”), and foods specific to the region. As it happens, she was also returning to the area of her grad school days and the site of a university packed with her own Maxwell family history. Friends of hers in the grad program had restored an old country store and turned it into a restaurant and bed & breakfast, the basis for Robbie Jordan’s ‘Pans ‘N Pancakes’ establishment in the series. In addition, Maxwell loves to cook and there are virtual cooking lessons woven throughout the stories as well as yummy recipes to be found. Fun fact: my mom had an amazing collection of antique cookware, so when Robbie chats about the vintage pieces in her store, I can see the tools in my mind’s eye. Maxwell/Day’s details? Wonderful! The Local Foods series features an organic farmer as the lead character, and guess what? Edith ran her own small certified organic farm for a few years and that expertise infuses the series with effortless realism. Readers can pick up tips about what it takes to grow produce organically, both the pitfalls and the plusses, while enjoying the cleverly crafted mysteries. The Quaker Midwife series is a project close to Edith’s heart. She is a Quaker herself and some of the history and the daily practices of the Society of Friends have found their way into this series. Maxwell now lives in Amesbury, Massachusetts where the books are set, and the local history influenced her short story writing. One of the short stories became the impetus for a 19th c. midwife character. Rose Carroll, the Quaker midwife, is perfectly placed to be a sleuth, since she gets to go where men (and the police) can’t in 1888, and hears all kinds of secrets that help solve the crimes. Beautifully written, “Delivering the Truth” is well-deserving of the Agatha historical mystery nomination this year. Click on the link to check out Maxwell’s YouTube video of a walking tour of Amesbury, Massachusetts. Maxwell is wearing an authentic self-made 1888 dress and bonnet while she conducts the tour and chats about the sites mentioned in “Delivering the Truth.” What a fun and terrific way to launch a series! Plus, as Maddie Day, Edith has a new cozy foodie mystery series, Cozy Capers Book Group, set on Cape Cod. “Murder on Cape Cod” will be the first title launched in 2018. The lead character runs a bicycle repair and rental shop and hosts a weekly cozy mystery book group. My dad’s family came from the Cape, and I’m looking forward to reading Maxwell/Day’s take on the region. Maxwell writes traditional mysteries with absorbing puzzles to solve, and appealing characters that engage us on every page. With strong female leads, fascinating details, and multi-layered plots, this is an author we want to follow, wherever (or whenever) she leads us. Read the review of “A Tine to Live, A Tine to Die,” (Local Foods series) here. "Delivering the Truth" has been nominated for an Agatha Award for Best Historical Mystery. And “The Mayor and the Midwife” has been nominated for an Agatha for Best Short Story. Read the short story here. Edith Maxwell is a member of the Wicked Cozy Authors, the New England gals that share writing advice and their own experiences every week at www.wickedcozyauthors.com. She also writes with Killer Characters, and with the Midnight Ink authors. This year the CRIMEFEST awards dinner was held on May 21st in Bristol, England. Take a look at all the great nominees. The winners are indicated in red. Eligible titles submitted by publishers, then British crime fiction reviewers voted to establish the shortlist and the winning title. The Last Laugh Award is for the best humorous crime novel first published in the British Isles in 2015. Eligible titles were submitted by the publishers, then voted on by British crime fiction reviewers. Audible Sounds of Crime Award is for the best audio book. The H.R.F. Keating Award is for the best biography or critical book in crime fiction. The Petrona Award celebrates the best in Scandinavian fiction. Here are the 2015 voting links for eight of the categories. Final results are now available. Curious about the winners in six of the twenty categories for the 2014 Goodreads Choice Awards season? The 14 additional categories included cookbooks, horror, non-fiction, children’s books and more. Did you read any of the winning choices from 2014? If so, what did you think? Let us know in the comment section. At the end of voting in 2014, there were 3,317,504 votes. At the end of voting this year, there were 3,007,748 votes cast.